Put the Web to Work: Responsive Website Design (RWD) revisited! 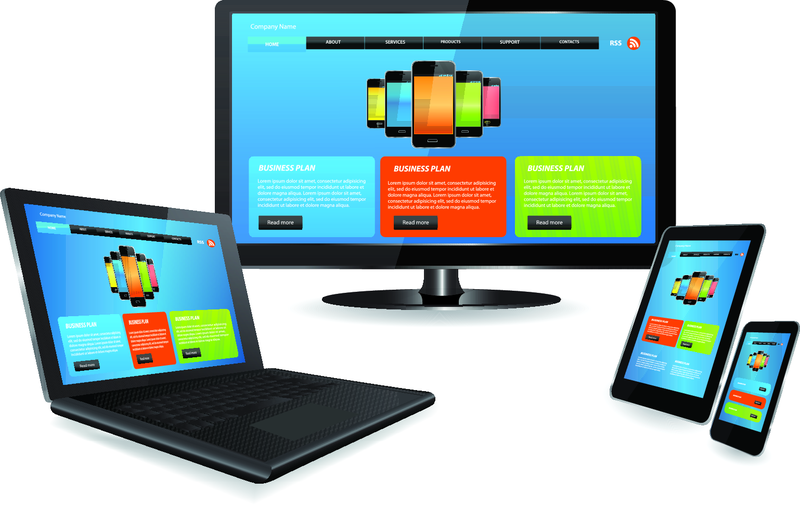 Responsive Website Design (RWD) revisited! A year ago, we presented a column on Responsive Website Design. It was a relatively new design concept and it is a tool for developing websites that provide an optimal viewing experience across a wide range of devices (from desktop computer monitors to mobile phones). We recently talked with a great client of ours who wanted to build a new website with a responsive design…we talked about the pros and cons of RWD and the decided to go with a more traditional desktop design with a stand-alone mobile website. We want to share these pros and cons once more with you! There are several wonderful advantages to having a responsive design with your website. One of the biggest advantages is that the site displays very nicely across all devices and all screen sizes. You also have one complete view for all traffic to your website, since it does not force re-directs to a different URL like a stand-alone mobile website does. Responsive websites can also minimize maintenance demands for your website since you only need to make an update in one location. There are also some drawbacks to responsive web design. Search engine optimization for responsive websites can suffer on the mobile side. Without getting too technical, determining proper keywords and content for responsive websites can be challenging. Mobile users tend to use different keywords when searching than desktop users do. Finding the right way to balance the search engine optimization for mobile users and desktop users can be challenging on a responsive site. If you have a stand-alone mobile site, it can be optimized separately from your main site. Another disadvantage is that your website can take more time to load. With responsive design, we tend to use larger images that scale dynamically (in dimension but not in file size) for smaller screens. Additionally, on mobile devices users tend to have to scroll much more since all content from the desktop site is displayed on the mobile version. In many cases, your mobile site doesn’t need to have all the content that a desktop user would see. Mobile users tend to want basic information and they want to access it quickly. Visitors to your website may fall into different groups with different expectations of what they want to see. In this client’s case, they have 2 very different types of visitors to their business website. They are a large entertainment business offering food, drinks, events, weddings, concerts with ticket sales, and other merchandise. Most mobile visitors to this website are not looking for detailed info on this venue, and do not want to wade (scroll with a RWD design) through a lot of photos or venue information. They do however; want to know what band is playing tonight, how to get a ticket, and how to find the venue. In this case we recommended a traditional desktop design and a stand-alone mobile site to satisfy both audiences viewing their website. As always, give us a call if we can answer any questions on the pros and cons of Responsive Website Design or Mobile websites! Sandy Waggett, MSW Interactive Designs LLC ~ We put the web to work for you!